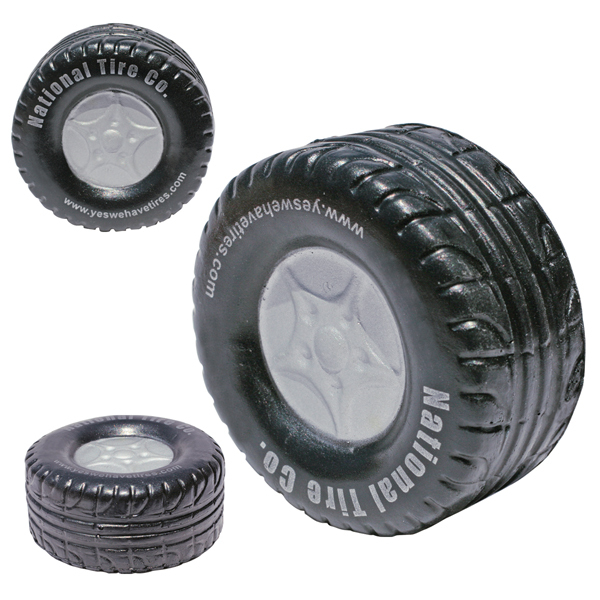 Tire Stress Ball is a great marketing tool. Use the tire stress for promotions at tire shops, automobile dealerships and used car dealers. The promotional tire stress ball is good giveawy to remind people to get new tires. Bulk / 16 lbs lbs / 300 pcs. / 24x14x13box. White or Silver imprint color is recommended.